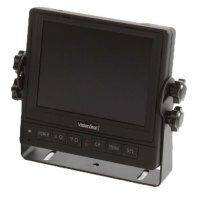 Includes 5" LCD monitor, monitor harness, sun shield, remote, and fan dash mount. 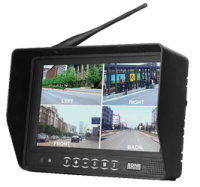 Audio only in reverse function. 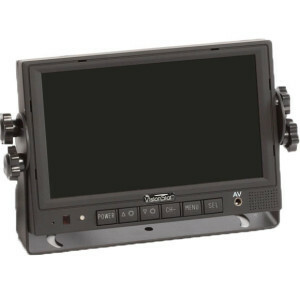 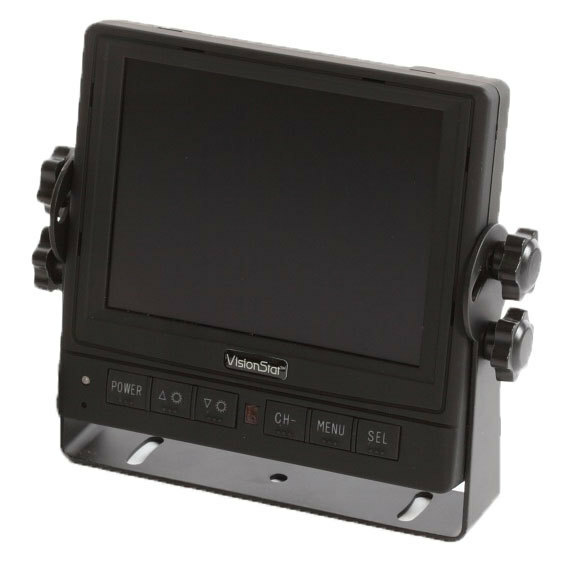 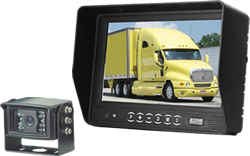 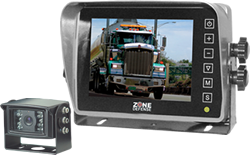 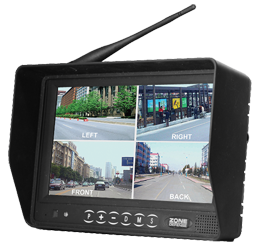 Rugged 7" Digital LCD QUAD monitor (LED Backlit, Built-in quad, 7G, Rear, Left and right switchers built into monitor, and automatic distance gauges triggered in reverse.